To reduce product damage during container loading, I want more protection at the bottom side of the pallet. On this parts bags are toughing each other when loaded into containers. 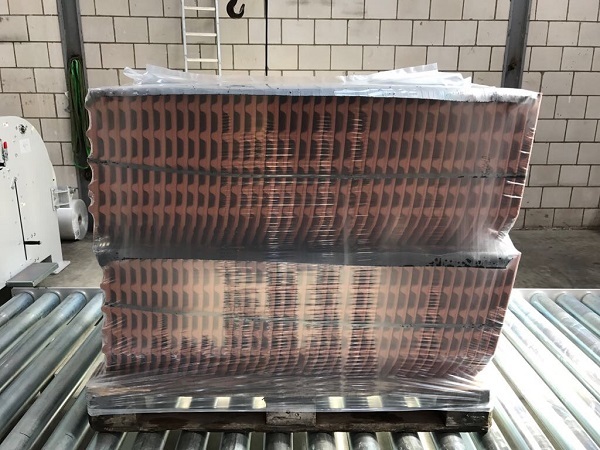 Pallet is packed with Dino Stretch Hood after which a second machine cycle places an additional band of stretch hood film at the lower part of the pallet. This second stretch hood is a cover with an open top. Read more about bags. The product is better protected and product breakage reduced. Additional benefit is an increase of pallet stability. What is the consumption of stretch film compared to my current shrink film. The pallet stability must remain the same. Remove and weigh old packaging. Repack the test pallets with Dino Stretch Hood. 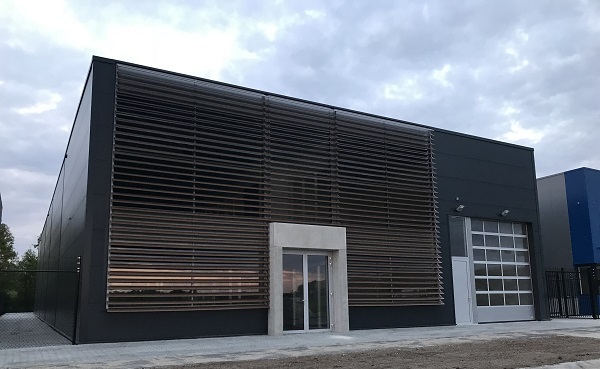 Read more about the building materials. 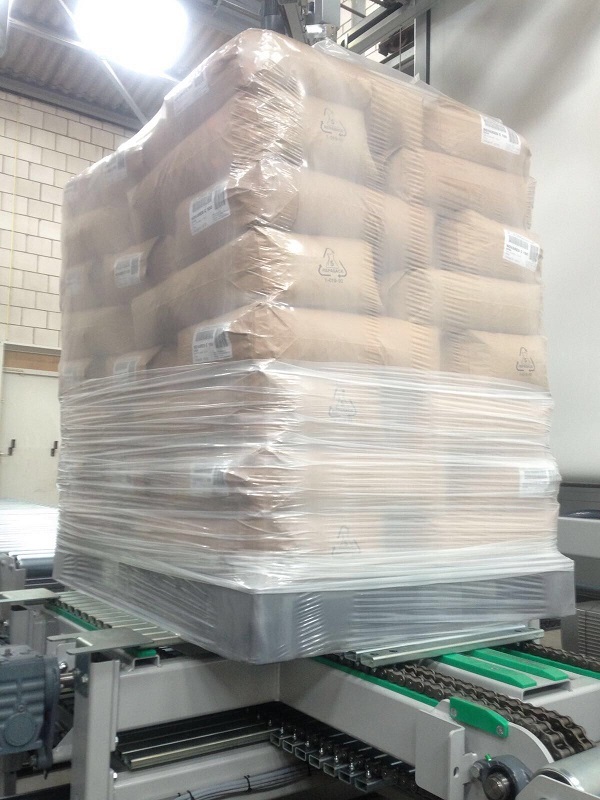 Can we increase pallet stability by applying vertical tension in the stretch film with Dino Stretch Hood. Pallet data: 800mm x 1200mm, 1000mm x 1200mm. Dino Stretch Hood can apply vertical tension in the stretch film. This is done by controlling the release of film onto the pallet load. When the film length is less then the load height on which it’s placed this causes vertical stretch. 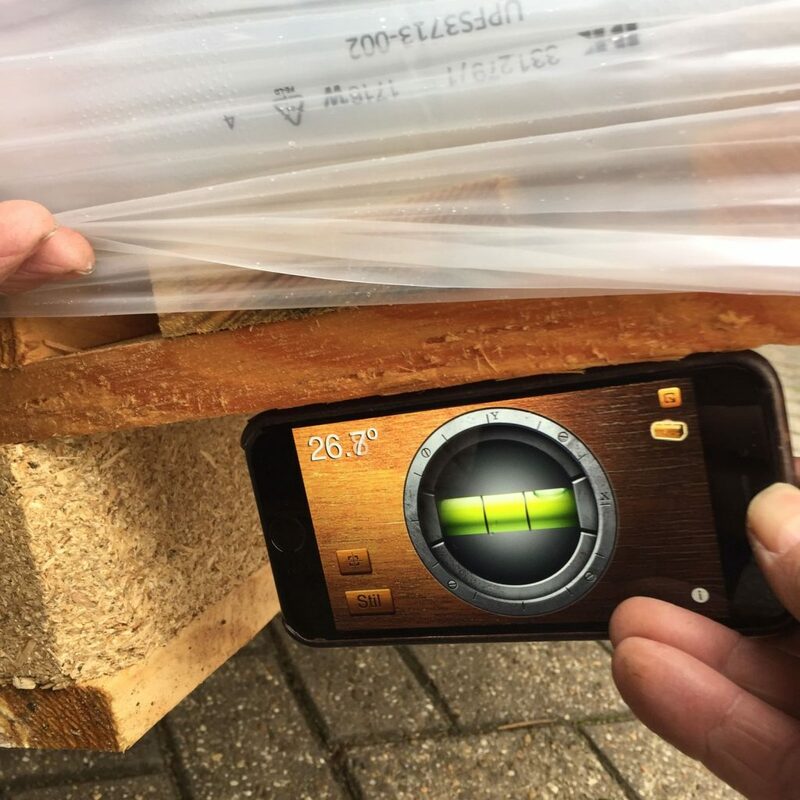 The film is released underneath the pallet, securing the vertical tension by preventing it to go back up. An inclination angle test serves as an indicator for the success of the test. 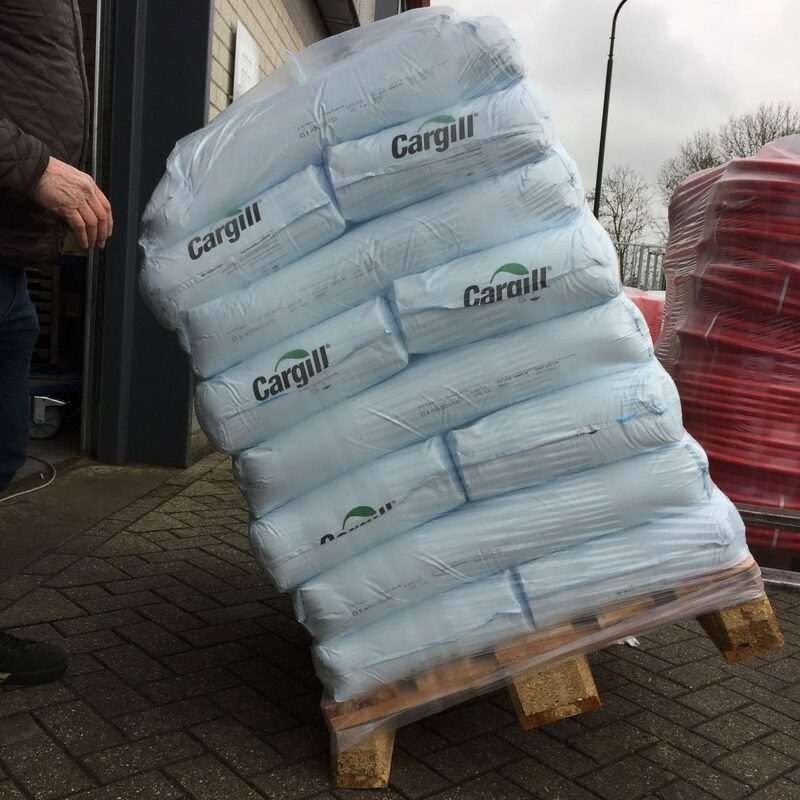 The tilt angle test showed great results with the pallet loaded with bags. Vertical tension can be set per machine menu. A variety of products can be optimally tuned per menu for maximum load stability. Beside increased pallet stability a 22% film saving is reached.